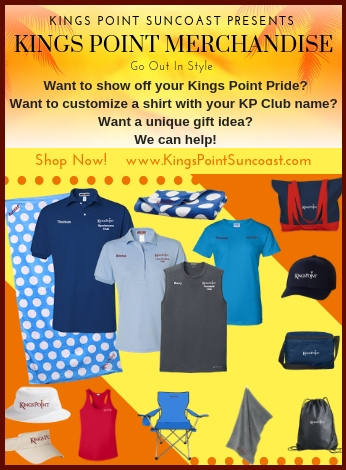 The south end of Kings Point Suncoast is home to a recently expanded 30,000 square foot resort-style luxury clubhouse. The newest wing of the South Clubhouse, The Palm Court Restaurant and Bar, offers a diverse dining menu with unique and savory dishes prepared by our professional chefs. Complementing the restaurant is a beautiful bar that overlooks a golf course and quiet pond, guaranteeing gorgeous sunsets to go along with your evening cocktail. Sunset at the South Club is a great time to enjoy your evening cocktail before dinner as you watch the sun set over the tree lined palm. The outdoor patio is the ideal spot to chat with friends and reflect on another fun-filled day in this Florida active adult community. Join your friends in the card room for a game of Texas Hold’Em or play Mahjong or bridge. Enjoy a pitcher of beer, a sandwich or a snack, available right next door from the Palm Court. 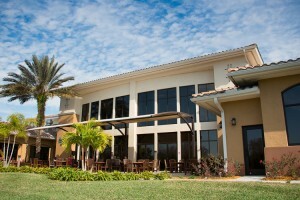 After your round of golf at Scepter stop by the Palm Court for a cold pitcher of beer and replay each hole! And if you are a sun worshiper, the South Club offers cookouts and live entertainment on the pool deck. Sit in your pool chair and enjoy a hot dog and cold beverage while you listen to the sounds of local bands. For the “entertainer” in you, the club house sponsors karaoke nights where you can grab a microphone and entertain your friends and neighbors. The Jubilee Hall is home to regular entertainment featuring live music and dancing. Rockin’ Rendezvous is a particular favorite for informal dancing and fun. During the day, the Jubilee Hall converts into space for table tennis, cards and resident social events. 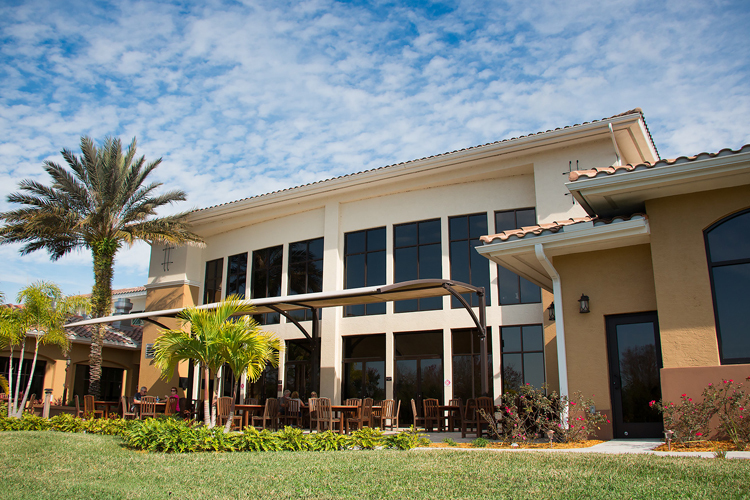 This active adult community clubhouse also includes a internet cafe, hobby and craft studios, indoor lap pool and an outdoor resort-style pool and spa. There is also a separate satellite fitness center for the South Club residents. Call 813-387-3476 today to make an appointment with a female or male personal trainer.